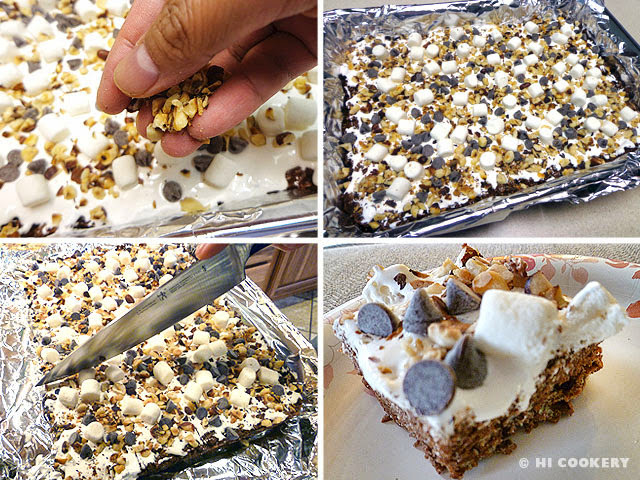 Chocolate Rice Krispies Treats, a childhood favorite, get a grown-up makeover with a Rocky Road topping. But it is the Nutella and chopped hazelnuts that give this confection a fuller flavor of filberts and chocolate! 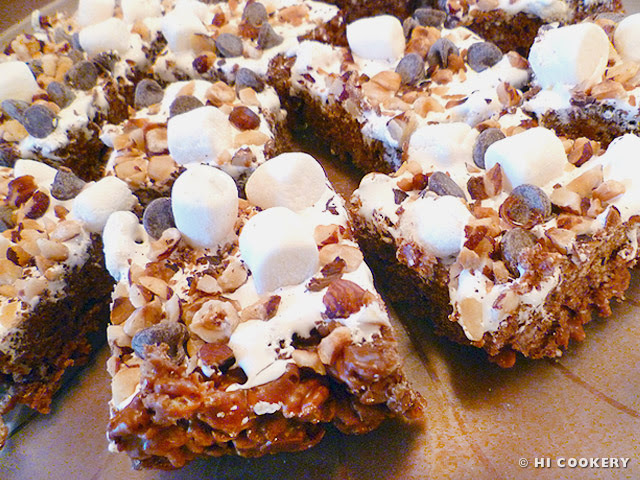 Rocky Road refers to a decadent dessert that has a chocolate base (ice cream, cake, Chocolate Rice Krispies Treats, etc.) mixed with marshmallows and chopped nuts (usually walnuts, almonds or peanuts). 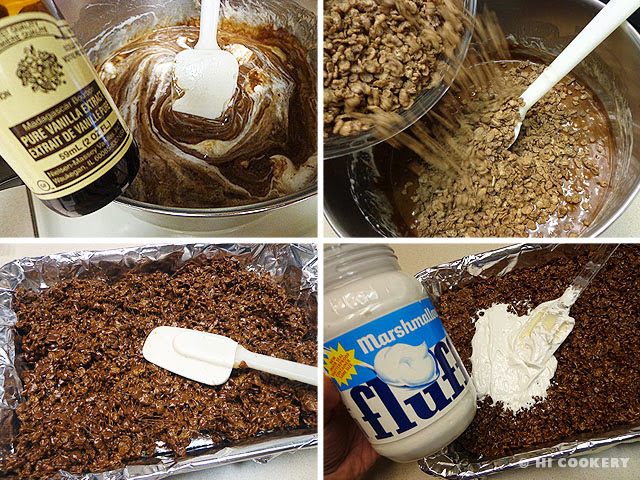 Chocolate Rice Krispies Treats are made with cocoa rice cereal and marshmallows already. Adding Nutella and toasted hazelnuts/filberts give the treats a tasty twist to the traditional Rice Krispies Treats and Rocky Road. For World Nutella Day, add the creamy chocolate hazelnut/filbert spread to chocolate rice cereal bars/squares and make Rocky Road Nutella Treats. Line a 9×13” baking pan with foil, leaving some overhang on the edges. Mist with cooking spray. In a large pot, melt the butter over medium-low heat, swirling to coat the sides. Add the bag of marshmallows and stir until smooth. Mix in the Nutella. Stir in the vanilla extract. Mix in the chocolate rice cereal and blend until well coated. Press evenly into the prepared pan. Cool completely before spreading the marshmallow cream over the top of the mixture. Sprinkle the marshmallows and chocolate chips over the cream. Chop and toast the hazelnuts/filberts. 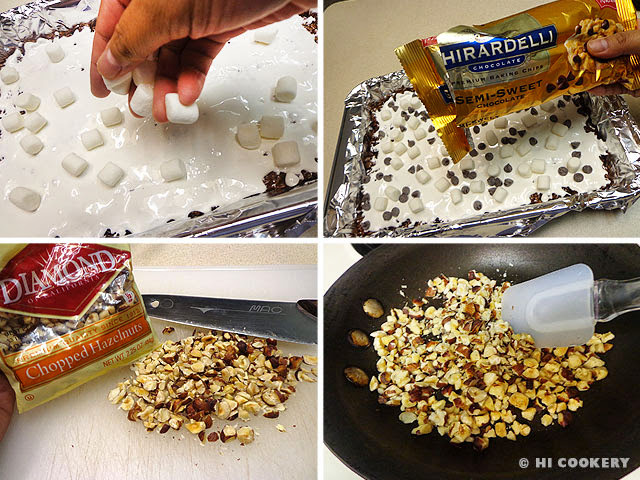 Scatter the cooled nuts over the empty spaces among the marshmallows and chocolate chips. Gently press down on the topping to make everything adhere to the surface. 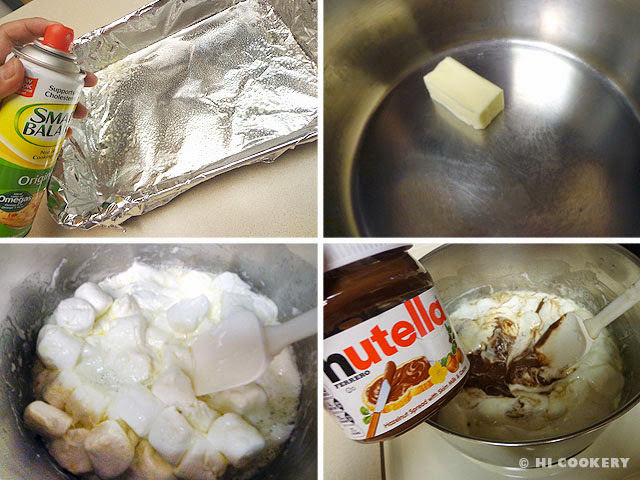 Using the foil “handles”, remove the dessert from the pan and peel away the foil. Cut into 24 squares and arrange on a platter, keeping them slightly apart so they do not stick to each other. Be careful when cutting through the solid sweetness of the Rocky Road Nutella Treats. Use a large, sharp knife and press down hard to slice all the way through. Rocky Road Nutella Treats are also terrific on National Cereal Day (March 7) and National Rocky Road Day (June 2).